Heat resistant paint is perfect for application to engines, exhausts, BBQs, stoves, fireplaces, boilers, radiators, chimeneas and other areas which are subjected to high temperatures. If you are looking for a heat-proof paint or coating to provide the highest level of protection to a surface exposed to high levels of heat, you fill what you are looking for here. Within this range, you will find heat resistant coatings and heat resistant sprays, suitable for application to ships, boats, yachts, engines, incinerators, pipes, exhausts, grates and other metal/wood surfaces. Products are designed primarily for metal applications, although can often be applied to wood and other surfaces which need protecting from high heat. Please take the time to browse all products and choose the coating that best suits your needs. Whether you require heat proof paint for metal or something slightly different, we can provide you with advice and point you in the right direction. A single pack topcoat that will resist temperature up to 350 degrees Celsius and can be applied direct to steel. A single pack topcoat that will resist temperatures up to 600° Celsius and can be applied direct to steel. Formulated to prevent corrosion under insulation (CUI) of carbon steel and stainless steel. A one component physically drying silicone acrylic coating that is heat resistant up to 600°C. A two component moisture curing inorganic zinc ethyl silicate coating. Heat resistant up to 540°C. For long-term protection of hot pipework, equipment and other hot surfaces. What is Heat Resistant Paint and How Does it Work? Heat resistant or ‘high-temperature’ paint, is designed to withstand high temperatures. They are made in such a way that they won’t break down or crumble when exposed to extreme temperatures. 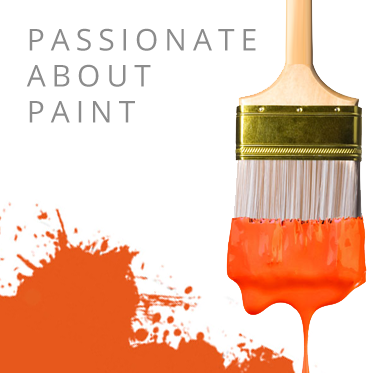 When it comes to paint for metal, Promain offer a comprehensive range of specialist products to help you moving forward. Some of the paints within this category can resist temperatures of up to 750 degrees Celsius, providing you with the high level of surface protection you need. There really is no ‘best heat resistant paint’ though. It all depends on the environment and the substrate in question. Before making any purchase, we’d encourage you to get in touch and speak to a member of the Promain team regarding the different options we have available. We’d always recommend you thoroughly read the technical data sheets too, to make sure you fully understand how to go about applying the coating. As we all know, fire is hot. We can often take it granted though, forgetting that the heat can damage other things as well, not only ourselves. With that said, it’s important to think about the things around your home that are subjected to high levels of heat on a daily basis and how you can protect them. Promain supply a range of heat resistant coatings suitable for application to chimeneas, BBQs, stoves and fireplaces, just to name a few. So if you are in the market for fireplace paint or a paint to protect your BBQ from heat, we have the solutions here to help you. Our heat resistant paints come in paint, primer or aerosol form, providing you with a choice when it comes to the application process. Our heat resistant spray paints are extremely popular, providing you with an easy way to apply the paint, without the need for a brush or roller. We have heat resistant coatings available from the likes of Rust-Oleum, PPG, Coo-Var, Teamac, Owatrol and Blackfriar, providing you with a wide range of options to help you protect metal surfaces from high temperatures. If you aren’t sure which heat resistant paint coating to purchase, contact the Promain technical department and we can discuss all your options with you. With a range of coatings available, we will have a system here to help you protect new, bare or blasted steel surfaces, as well as cast iron and most metal surfaces found in light-heavy industrial exposures.